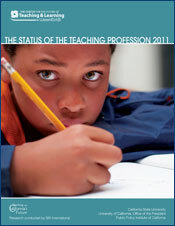 Educator evaluation results can be used to create and support a system of professional growth and support for teachers. This DVD contains all materials needed—including agendas, PowerPoint slides, facilitator’s notes, and handout—to conduct professional development sessions on this topic. 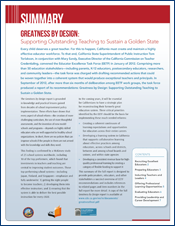 A collaborative effort between the Center on Great Teachers and Leaders and Doing What Works, the module is based on the National Comprehensive Center for Teacher Quality’s Practical Guide for Designing Comprehensive Teacher Evaluation Systems, developed to help structure and guide the design of a comprehensive, effective teacher evaluation system with eight key components. 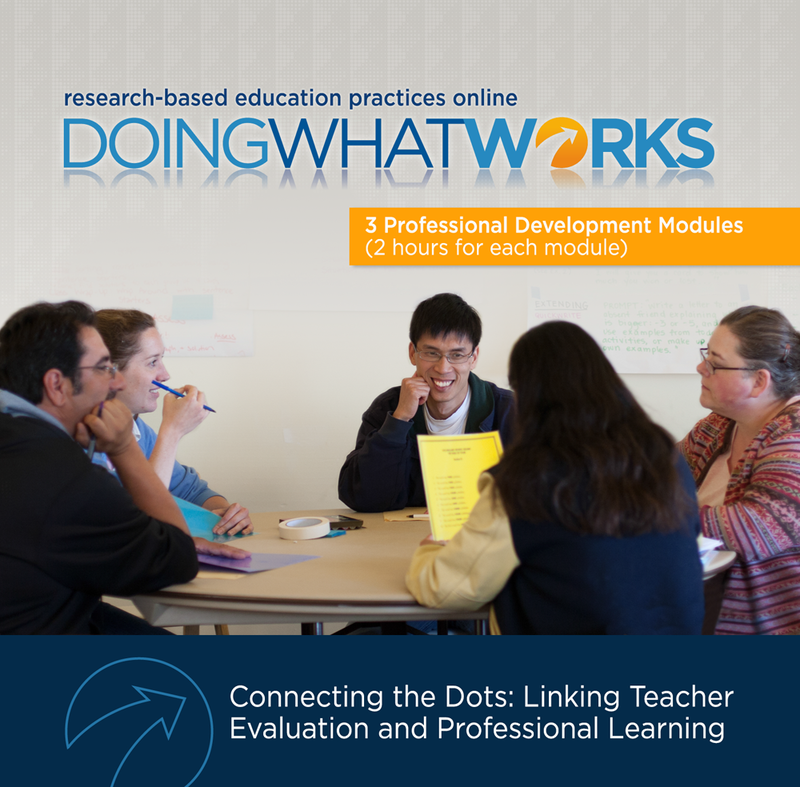 This module focuses on Essential Component 7: Using Teacher Evaluation Results. Session I provides an overview of the connection between educator evaluation and professional learning, and reviews how selection of evaluation measures can impact data quality and utility. Session II focuses on providing feedback to teachers, encouraging teachers’ self-reflection, recognizing and motivating teachers, and identifying professional learning goals. Session III discusses key considerations in planning professional learning opportunities, and the importance of aligning teacher evaluation results, standards for teaching and learning, and job-embedded teacher professional learning.